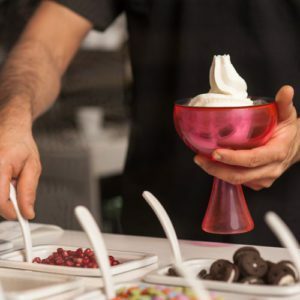 Fun & Tasty Ice Cream Toppings for Vanilla Fig Almond Ice Cream & Spiced Sour Cherry Chocolate Ice Cream. Make these ice cream takes less than 5 minutes. 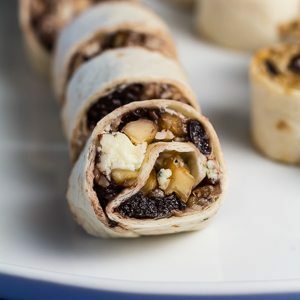 Fig Almond & Brie Cheese Tortilla Roll Ups is another recipe from our easy 1-2-3 recipe collection. This 15-minute appetizer is soft, sweet and crunchy, made with Fig Almond Spread. 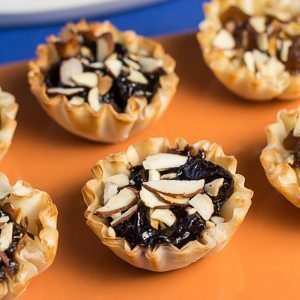 Fig Almond Tartlets Appetizer Recipe is one of our super easy & quick party bite recipes. This small-bite appetizer, made with mini Phyllo (Filo) shells, can be whipped up in under 30 minutes, and is perfect because it has the flavors of the holiday season. Fig Almond Cake Recipe is my kind of dessert because it has all my favorite ingredients like Fig Almond Spread, cardamom, ground Almonds and Grand Marnier. 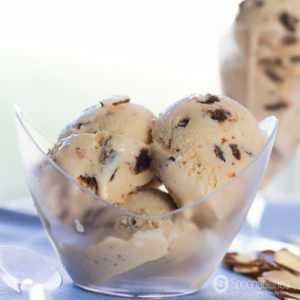 Semi-homemade Vanilla Fig Almond Ice Cream recipe. This dessert is creamy, sweet, refreshing with subtle notes of brandy. Perfect for the summer or a well deserved treat anytime. Made with our delicious Fig Almond Spread. 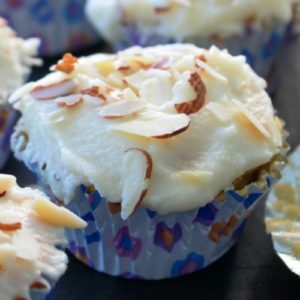 For me, this is the BEST cupcake recipe because it has two of my favorite ingredients: “Fig Almond Spread” and “Almond flour”. These cupcakes are moist, fluffy, and have a fruity filling, and sweet and creamy frosting. Gluten-free recipe.